Very nice! I like to dress reasonably well myself, but my lodge is somewhat casual (no shorts, but jeans and collared shirts are commonplace) and I have no problems with that. It is the hearts of my lodge brothers, their internal qualifications, and their actions that matter most. Paraphrasing the second lecture of the EA degree: Masonry doesn't care for worldly wealth or honors. It is the internal, not the external qualifications that make us worthy. I understand how easy it is to slip into the thinking of "this is how my lodge does it, so this is how every lodge should do it." It's much more difficult to act with love, and remember that each lodge has its own culture that must be respected, as we want them to respect ours. The really interesting thing here is the variety in Freemasonry. As a Pennsylvania Mason, I'm used to the standard that Wardens and Masters wear tails, while other officers wear short coat tux or dark suit. 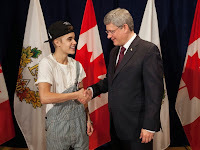 About 4 years ago, Bro. 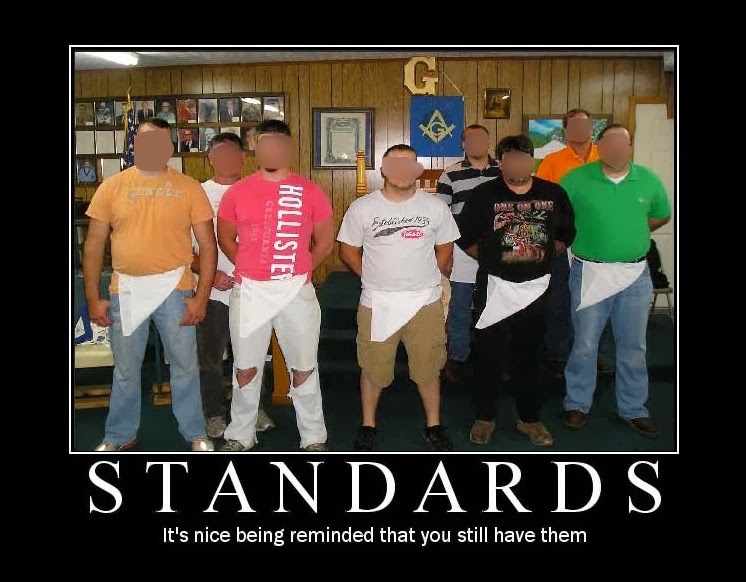 Thomas K. Sturgeon, RWPGM, made a ruling that members (not officers) no longer had to wear ties in Lodge, but could wear a collared shirt instead. Most Lodges were aghast and I don't know of any Lodges in the state where a jacket and tie isn't he required dress for the meeting. I'm not saying one way is right or wrong - I just enjoy seeing how Masonry works all over the country! Yes, I understand that some like to dress. And some do not. 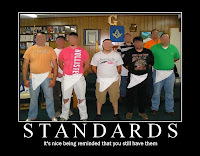 Some lodges require more formal dress, and some do not. Neither is right or wrong. It just is. If you are visiting a lodge then it is in your best interest to contact them and find out the proper dress for that lodge. Regardless of your reasons for dress, remember that ALL MASONS are taught to regard the internal and not the external qualities of man. What I find interesting is that it seems as those that normally dress formally tend to look down on brothers/lodges who do not. But the lodges who dress casually do not care what you wear to your meeting or if you were to wear a suit to their meetings. Funny how that works out. Great post - all too often I hear that 'it's the internal & not the external' bit ... garbage. Doesn't apply to how how someone dresses ... but rather, to the fact we don't care about a Brother's social/economic status, religion, political views, etc. Dressing in a manner to reflect your sincerity to the Craft MATTERS. Folks dress up for Church, Weddings, Funerals, Parties, etc ... why not dress up to attend a place where all good men are there to learn how to better themselves?